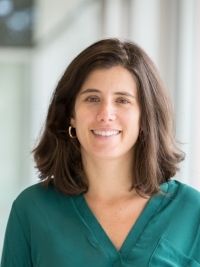 Sarah Cohodes is an Assistant Professor of Education and Public Policy at Columbia University's Teachers College. Her research uses quantitative methods to evaluate programs and policies that have the potential to ameliorate achievement gaps. Sean Corcoran is an Associate Professor of Economics and Education Policy at New York University's Steinhardt School of Culture, Education, and Human Development. His research interests include school finance, school choice, and the labor market for elementary and secondary school teachers. Jennifer Jennings is a Professor of Sociology and Public Affairs at Princeton University. She is jointly appointed in the Department of Sociology and the Woodrow Wilson School of International and Public Affairs. Carolyn Sattin-Bajaj is an Associate Professor of Education Policy and the Director of the Center for College Readiness at Seton Hall University. Her work examines the relationship between education policies and equity for immigrant-origin youth and families with an emphasis on school choice policies and points of educational transition. Stewart Burns Wade has over 10 years of experience working in K-12 and higher education spaces, with a concentration in program design, research and evaluation. She holds a Master’s in Sociology of Education from New York University. Alexandra Bray has worked on the NYC High School Admissions Study for the past 4 years, first as a Research Assistant and now as a Junior Research Scientist. She holds a Bachelor's Degree in Sociology from New York University.